Every year, many people in Thailand with Chinese ancestors which are called “คนไทยเชื้อสายจีน /kon tai chúea-săai jiin/” (about 14% of the population of Thailand), celebrate the Chinese New Year which in Thai is called วันตรุษจีน (wan dtrùt jiin) with elaborate ceremonies. 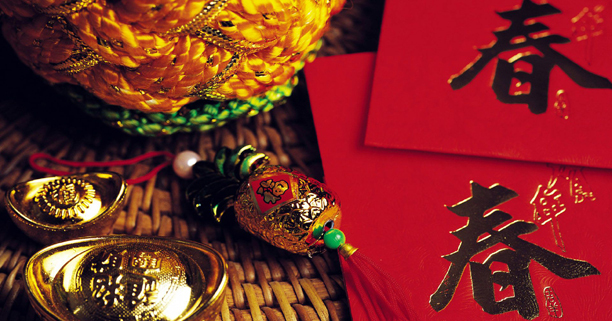 On this occasion, Thai-Chinese people greet with the phrase ซินเจียยู่อี่ ซินนี่ฮวดไช้ Sin Jia Yoo Ee Sin Nee Huad Chai “. “Sin Jia Yoo Ee” means “may all your wishes come true this new year”, and “Sin Nee Huad Chai” means “good fortune in the new year”. You can also say in Thai language สุขสันต์วันตรุษจีน /Sùk Săn Wan Trùt Jiin/ or สวัสดีปีใหม่จีน /sà-wàt-dii bpii-mài jinn/. Another common expressions for this occasion are กงสี่ฟาไฉ่ Gong Xi Fa Cai meaning ‘I wish you wealth’ which in Thai we say “ขอให้ร่ำรวย /kăw hâi râm-ruai/”. The first date (3rd February 2019), they will buy sacrificial offering such as Chicken, pork, fruit, candle, stick and more and use in worship their ancestors (It is called วันจ่าย /wan jàai/, jàai จ่าย means ‘to pay’, ‘to shop’). The second date (4th February 2019), all members in the family will get together to pay respect to the ancestors and to show the gratitude. It is also a great opportunity to strengthen the family relationships by spending time together. (It is called วันไหว้ /wan wâi/, ไหว้/wâi/ is the way Thai people pay respect to someone to someting) . The third date (5th February 2019) is a traveling day (It is called วันเที่ยว /wan tîao/; เที่ยว/ tîao/ means to travel ). Thai-Chinese people will put on nice clothes and go on holiday or visit family and relative. It is the tradition that every family thoroughly cleans the house to sweep away any ill-fortune in hopes to make way for good incoming luck. On the Eve of Chinese New Year, supper is a feast with families. Food will include such items as pork, ducks, chicken and sweet delicacies. The family will end the night with firecrackers. Early the next morning, children will greet their parents by wishing them a healthy and happy new year. Lucky money are typically given to the unmarried by the married; most of whom are children in red envelopes (Ang Pao: อั่งเปา). It is also traditional to put brand new notes inside red envelopes. In many areas the highlight of the festival is the dragon dance. The dragon—which might stretch a hundred feet long—is typically made of silk, paper, and bamboo. Traditionally the dragon is held aloft by young men who dance as they guide the colorful beast through the streets. Don’t buy new shoes for the first months of the New Year, because the sound of shoe in Chinese is “hai”. “Hai” is similar to the sound of sighing, which Chinese believe is not a good way to start the year. Don’t wash your hair for the first three days of the New Year, because the Chinese word for hair is a homonym for the Chinese word for wealth. Therefore, Chinese believe it isn’t a good thing to ‘wash away your wealth’ right at the start of the New Year. Don’t break any dishes, otherwise you may incur more misfortune for the New Year. In the event of breaking a dish, quickly say “Peace for all time”, and the bad luck will be warded away. Don’t say the number ‘four’ (Chinese homonym for death) or mention death. 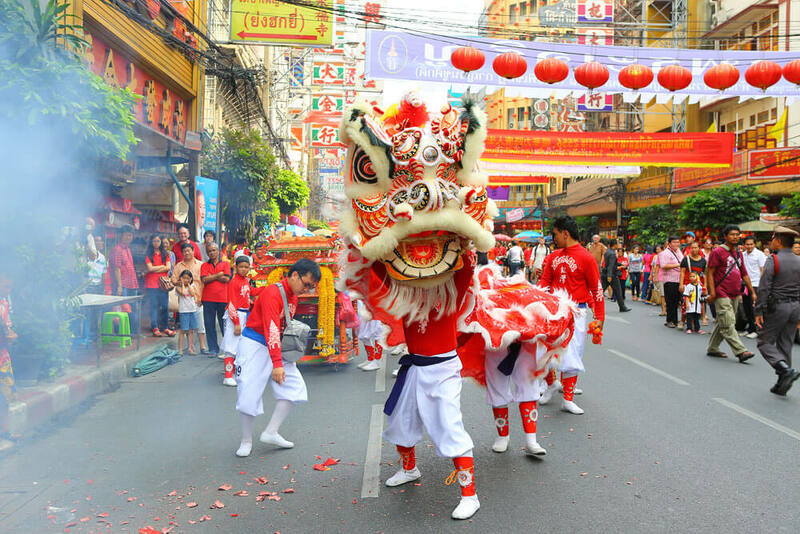 This year, The Bangkok Metropolitan Administration (BMA) is inviting everyone to visit the city’s China town to celebrate the Lunar New Year at Yaowarat (Chinatown in Bangkok) on 5th-6th February and learn about the history of Yaowarat road. Her Royal Highness Princess Maha Chakri Sirindhorn will preside over the opening ceremony on 5th February at 15:30 pm at Chalermphrakiat Gate, Odeon Circle, Yaowarat Road. Visitors can enjoy exquisite cultural performances from China, dragon parades and lion dances, street stalls selling Chinese food, lantern decorations, and an exhibition telling the story of Yaowarat’s Thai-Chinese community. The city will also give away 8,500 Monkey God coins as souvenirs for visitors. Yaowarat (เยาวราช) is the Chinatown in Thailand, which is one of the oldest Chinese communities in the world situated on Yaowarat Road, Bangkok. 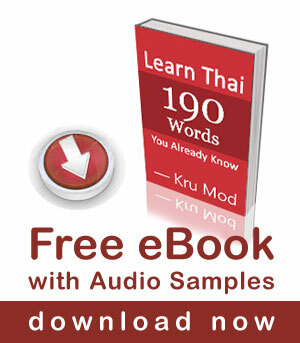 Did you know that Thai-Chinese people use different words to call their family and relatives? Let’s learn some basic words, shall we? Thai-Chinese are Thai citizens of Chinese ethnicity. According to Wikipedia, over half of ethnic Thai today are descendants of people who migrated from southern China about 1,000 years ago. They are closely associated with the modern day Dai people who now live in the Xishuangbanna area of Yunnan Province in China. Can you tell that both teacher Pear and I actually have a little bit of Chinese lineage? Though we don’t have light skin and small eyes, my dad’s father came from China. Unfortunately, I never had a chance to celebrate Chinese New Year at all because my grandfather lived in the different province and my dad was often traveling for work. khoo hay mii khwaam suk maak maak! pom pen khon hong kong (jiin) krap. Many thanks for giving interesting info about ‘Wan dtrut Jinn’ & historical facts ! sin nee huad chai literally means new year prosperous in hokkien/ direct tranlation . Sin Nee Huad Chai means wishing you a prosperous upcoming year.